Hello, I am Mr Wang Jianhu,the founder and president of Foshan Tupo Machinery.I am the original inventor of the wall plastering machines,also called rendering machines. Just like an artist or a craftsman are pleased to present their creations,as an inventor I am also very happy and proud to introduce the machines we have designed and created over the years.Each and everyone of these machines were the result of a tireless problem solving process,by my R&D team and myself. The world started knowing about this new technology after the Chinese TV channels CCTV-4,CCTV-7 and CCTV-10 invited me to introduce our machines by taking part in the science reality show "I Love Inventions". In the program, for over one hour our machine "competes" against a team of manual workers, in order to see which one can plaster walls faster.I am glad to say that we won! The downside of being innovative and getting attention from the media is that it also attracts piracy.It is just impossible to prevent that sweatshops in China produce fake rendering machines,but it is our duty to warn our customers to always check if they are buying the original Tupo equipment.If it is not Tupo,it is a knock-off. However,what the pirates just cannot do is exactly what we dobest: research,development and innovation. 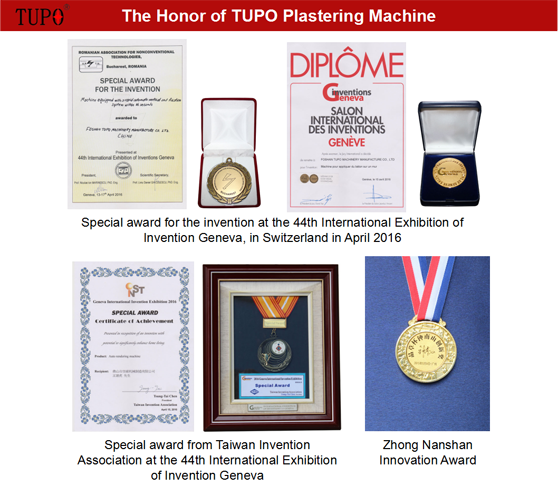 catalogue you will see our latest creations,the 8th generation of our technology - Tupo 8 e-Control and Tupo 8 e-Control Plus,the state of art of rendering machines.They were personally presented by me at the 44th International Exhibition of Inventions Geneva,in Switzerland. 2. In 2006, we got 3 patent certificates. 3. In 2007, the machine is successfully developed after 3 yeas’ assiduous researching. 4. In 2008, the machine began to test in building field including destructive testing and resolving the fail rate, the testing take us 3 more years. 5. In 2010, we start to market our first generation of products including two types of machine FQ800-2A and FQ8002-2B which is the former generation machine of TUPO series. 6. In 2011, we change our factory name as Tupo Machinery Manufacture Co., Ltd in order to market our series TUPO series machine. 7. In March of 2012, the newspaper reporters of Xingtai city Mr.Pan Qingbo and Ms.Wang Bin AAreported our invention of the machine. 8. 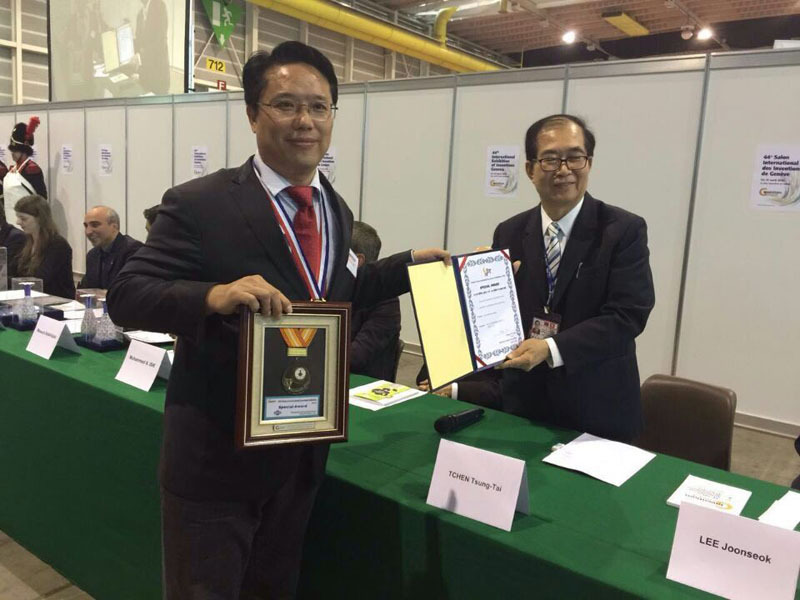 In April of 2012, the CCTV-4 international channel interviewed the inventor Mr.Wang Jianhu. 9. End of 2012, We got 2 more patent certificates and moved our factory to Foshan city of Guangdong province south China in order to expand our international business. 10. In 2013, the biggest TV media of China CCTV interviewed our company and the company director Mr.Wang Jianhu who is the original inventor of automatic rendering machine. The CCTV-10 strongly introduced our products in its popular program I LOVE INVENTION. 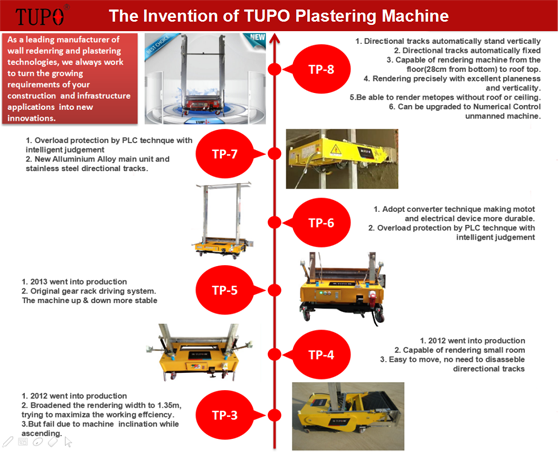 And we marketed our new machines TUPO-5 series in the same year. Thank you for you interest and be welcome to visit our factory, where you can openly see the original rendering machines being produced and operated.